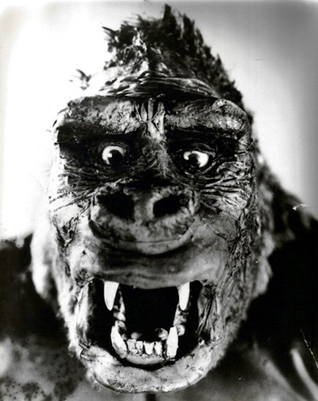 “King Kong” is re-released (resurrected) in 1938 (the birth of "Superman"), 1942 (the beginning of World War 2), and 1952 (the release of Sam Phillip's proto-rock & roll song "Rocket 88"), which seems to follow the pop-cultural beats of the American Century which lead to the arrival of Elvis Presley. Thusly, the Dino De Laurentis remake of Kong (1976) closes out the period, and oddly sets the stage for Elvis's death in 1977. In the wake of Kong's original 1933 death; his literal plummet; King Kong is as much a messiah-figure for the coming 20th Century Pop Culture, as Elvis Presley's 1977 metaphorical “fall” signals a death toll for everything in between. This actually places KING KONG in a very special category all to itself; After the Silent Age of Film - and before the Golden Age of American Pop Culture. 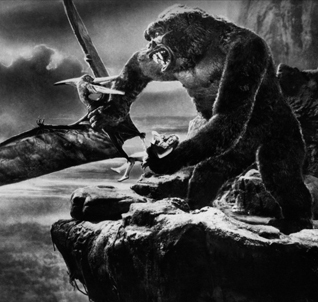 “King Kong” is more than a film that uses primitive sound. It's waxen warble is a cry to the American century that is unfolding. The screams of Fay Wray are a wake up call to all the great things in American pop culture that are about to revealed; a contrast between black and white before exploding with color, good and evil before becoming anti-hero, and the modernization of beauty and the beast; therein the acknowledgement that love is how the animal body internalizes magic. King Kong was more monster than gorilla. But even gorilla's get the blues. 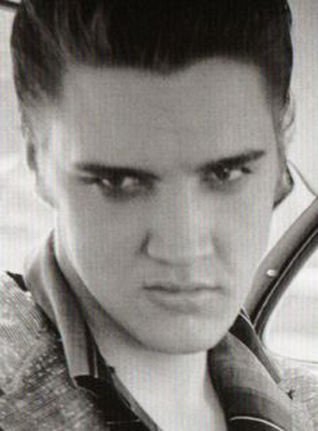 Elvis said "Them people in New York ain't gonna change me none." King Kong probably thought the same thing. 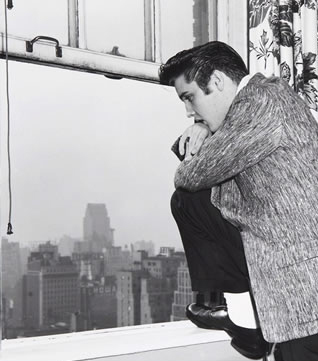 Elvis's favorite number was 8, and King Kong was the Eighth Wonder of the World.